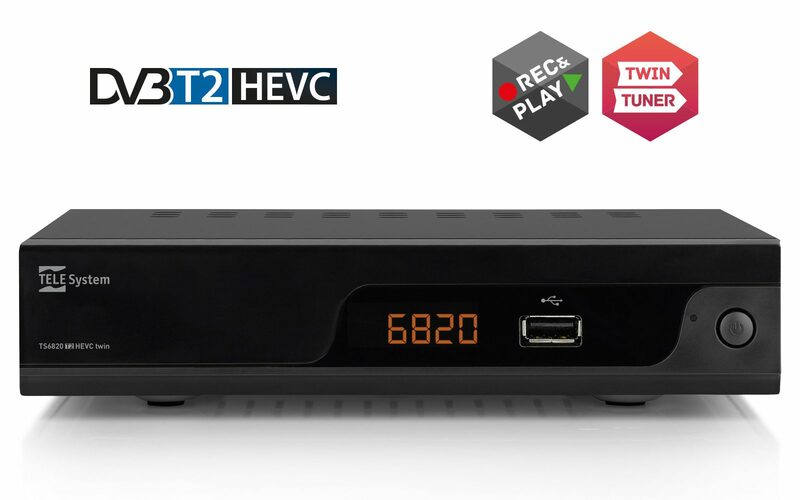 The Digital Terrestrial Receiver TS6820 T2HEVC TWIN has a digital tuner allowing to record a HD program while watching another channel. Connecting an Hard Disk (FAT32 or NTFS) trough one of the 2 USB available ports, it will be possible to record your favourite programs or movies or stop watching temporarily a live program and to play it again after few minutes thanks to the Timeshifting function . Furthermore the TS6820 could become a multimedia player to play music, fotos and video directly on the TV even in Mpeg4 H.265 encoding . The LCN “Logical Channel Number” function sorts in automatic way the channel list, while the EPG “Electronic Program Guide” function offer you an always updated program guide.